TimelyBill is a telecom billing and revenue management software which facilitates service providers to introduce products, generate invoices, collect payments, offer bundles, share profit with partners, detect fraud and many other revenue related functions. TimelyBill is customizable to meet your business needs. We understand that no two organizations are alike. TimelyBill OSS / BSS was designed to provide maximum flexibility and reliability. TimelyBill puts you in control of your billing. Add or modify fields, labels, validation rules, permissions, store customer data in multiple languages, and more. 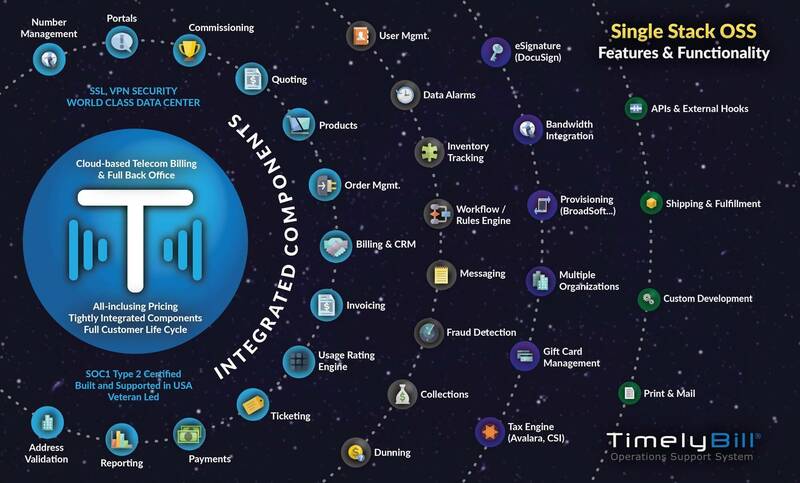 TimelyBill SP includes full-featured components which target the needs of telecom and communications service providers. A hosted enterprise level billing and operations support system for communications service providers. Whether you are looking at VoIP, Triple Play or Quad Play, TimelyBill's single stack solution was built to meet all of your back office needs. Manufactured by: Bill Perfect, Inc.
Bill Perfect also provides subscription billing software for "simple" non-usage based products and services. Visit billingchamp.com for more information.